By plane, by car, by rail and by the high seas, tourists are streaming to Denmark like never before. Earlier this week it emerged that Denmark set a new record in terms of overnight stays by foreign tourists last year, while another report showed that income from foreign tourists in 2017 amounted to 54.3 billion kroner – an increase of more than 42 percent since 2010. 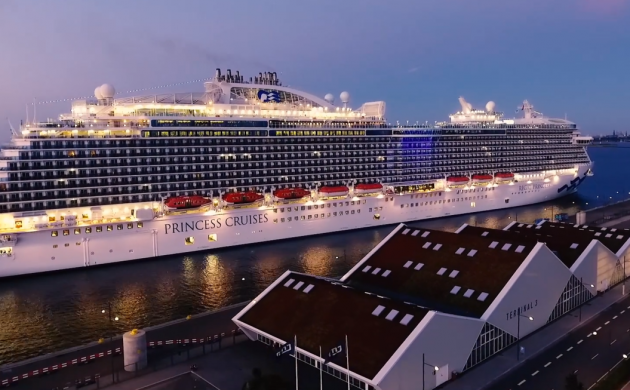 And now a report from tourism organisation Wonderful Copenhagen shows that Denmark will reach yet another tourism landmark, as a record 1.2 million visitors are expected to disembark from cruise ships in Danish ports. “The Danish cruise ship success is manifesting itself more and more across the country as a source of revenue in the harbours and shops, thanks to the international guests,” said Claus Bødker, the head of the cruise ship department at Wonderful Copenhagen. Copenhagen continues to be the driving force when it comes to attracting cruise ship tourism to Danish shores, but the rest of the country is on the rise – it is expected that harbours outside the capital will reach close to 250,000 guests for the first time ever in 2019. This year, 158 cruises are scheduled to dock in Copenhagen using the Danish capital as the starting and finishing point of their trip. As a result, guests have more time in Copenhagen to take in city and regional attractions. Other Danish cruise ship destinations are Skagen, Fredericia, Aarhus, Kalundborg, Hundested, Helsingør, Rønne. While most cruise ship guests coming to Denmark hail from the UK, Germany and North America, visitors from over 150 countries disembarked in Danish cities last year. Local News in Brief: Are tourists turning Copenhagen into a human zoo?